Located in the hottest neighborhood in all of Los Angeles, Mar Vista!!! This amazing and rare offering is a once in a lifetime opportunity to renovate or build a new creation on this huge 7,750sf lot!! Mclaughlin is shaping up to be the new Sunset Blvd of Mar Vista with lots of beautiful brand new constructions going up. 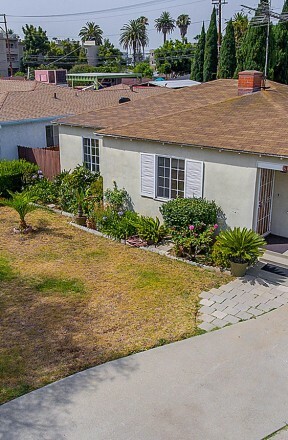 It is the perfect canvas for any developer or end user to build the home of their dreams, and while the current home features over 1,200sf sf with 3 beds and 1 bath, don't be fooled!! This will soon be the envy of all the neighbors once developed. Don't let this amazing opportunity pass you by!!! Bring your designers, contractors and dreams.